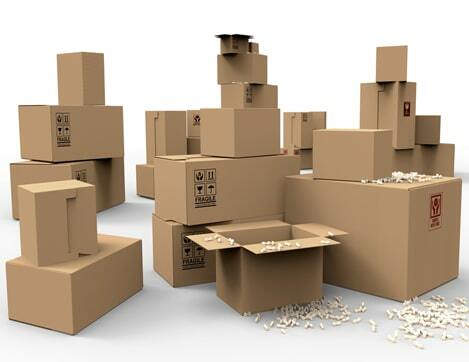 The right size of storage unit depends on the cumulative size of the belongings you will be storing. You can determine this using a tape to measure out a space, so you have an idea of the floor area you will be working with. When choosing a size, it is also important to consider how you will be using that unit. Do you intend to fill it as much as possible, or are you thinking of leaving some room inside to work? We recommend that, at minimum, you leave enough space for a pathway so you can easily reach items at the back of the unit. The typical storage height for storage units is about 8 feet, though there are special units known as storage lockers that only reach a height of 5 feet or less. Storage units for vehicles tend to have higher ceilings so they can accommodate boats and RVs. Roll-up doors are usually 8 to 10 feet wide, with an additional 6 inches on either side between the edge of the wall and the unit door. Some people use the name “locker” and “storage unit” interchangeably, though they typically refer to units with a shorter than standard ceiling height. They generally have smaller dimensions, which makes them unsuitable for storing furniture and other large items. Lockers could measure three by three feet with a maximum height of five feet, which makes them ideal for storing luggage, backpacks, and other small items. Storage units are not the same as storage lockers or storage sheds (installed on your property) or portable storage (also referred to as storage pods or mobile storage). With storage units, you have to rent space at a dedicated storage facility, which provides self-storage units in one of several standard sizes. The units are secured with an individual lock, and the property managed by dedicated staff, who also keep an eye on your valuables. When choosing a storage unit, you should determine the type and size of storage that is best suited for your needs. When it comes to renting self-storage units, size is everything. You don’t want to part with more money for storage space that will sit half-full when you can pay much less for a smaller unit with its space optimized. It is all about choosing the most appropriate size and figuring out how to manage that space so you can fit all the items you need to put in storage. Fortunately, there are many units to choose from, plus the sizes increase in the right increments so you never have too little or too much space.